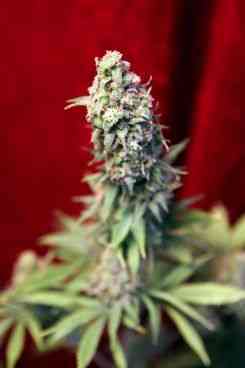 This is the second plant we have feminised and a plant we are sure will triumph. A cross between a Black Domina which has won many prizes and cups in Spain, and our Dancehall#20, which, despite its young age, has also won many important cups. Robust plants that do not branch much when grown indoors (making it a perfect S.O.G. plant). There are two phenotypes: one is more Indica, with that special Black Domina smell, the other is a fruit- smelling Sativa that shows its Danceholl#20 heritage. They are both strong, tasty plants with a penetrating high that will stay with you a long time. 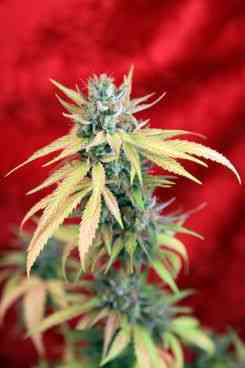 It is an easy plant to grow either in bio, hydro or outside, so even a beginner would have no trouble producing this luxurious smoke, as each and every plant is a unique treasure. After careful testing we have come to the conclusion that this is indeed a very special plant, so we have made it available for everybody to enjoy. We have no doubt that anyone who tries Blackdance will remember it for the rest of their lives... and, do not forget, it goes great with reggae music.